At J & D Diesel, we understand that time is money, and if your heavy-duty vehicles aren't out working, then you aren't earning. With this in mind, our highly trained and dedicated workforce will quickly diagnose and repair any problems with your commercial vehicle's powertrain, hydraulics, electronics, braking systems, or any other component vital to the smooth operation of your business. While light-duty repair shops are common, it's harder to find technicians with experience in heavy-duty vehicle repair. J & D Diesel makes certain our knowledge of these vehicles remains up-to-date so we can serve your needs in 33315 and surrounding areas. 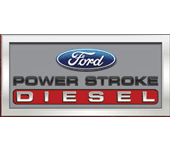 At J & D Diesel, we've been guaranteeing that companies around the Fort Lauderdale, FL area have access to the mechanical power they need since 2015. Our mechanics are second to none, just like the service we provide to our commercial customers. We're experienced with all aspects of diesel powertrains, and can have your problem engine taken apart, diagnosed, and reassembled if needed. Our mechanics are fully trained and certified to work with the extreme pressures of hydraulic systems, in a safe and professional manner. We will diagnose any electrical gremlins that may be plaguing your vehicles with speed and skill. We also have ample experience working with air-brake systems. Another area of specialty at J & D Diesel, is the work we perform on stricken tractor-trailers. This work can be as simple as replacing bodywork and engine components, but can also include major jobs like chassis swaps and adjustments. We understand that these vehicles cost your company a lot of money, and if there's any way that we can get them back out on the road while adhering to safety standards, we will. At J & D Diesel we find great satisfaction in skillfully resurrecting these vital vehicles to work another day in our community in Fort Lauderdale, FL. All work that leaves J & D Diesel is fully guaranteed to meet and exceed the regulatory standards required to get your vehicle back on the road, ensuring a hassle-free return to service for your vehicle and a smooth return to profits for your business. Call us at 954-908-1473 to learn about our heavy-duty vehicle repair services in the Fort Lauderdale, FL area!